Why are there six major houses in the A Game of Thrones board game? Circa late 2012 we were playing a lot of Risk Legacy which got me to thinking about odds in Risk again. Is it better to attack large armies first or last? Consider a situation where you want to take over a sparsely defended continent where only one territory has more than one defender. Would you be more likely to succeed if you started your attack against the well-defended territory or if you ended your attack against the well-defended territory or does it make no difference which way you did it? Purple and Blue each have 15 attackers to take over 5 African territories with 1 defender each and one territory (Egypt) with 6 defenders. Purple is planning to end their attack at Egypt and Blue plans to start their attack at Egypt. There are lots of places on the web that will tell you the odds of winning a single battle but nothing that I know of that will calculate the odds of a complete attack run like above. For instance, the you can use this perfectly good Risk Calculator to determine that the odds of Blue taking out Egypt are 96.99% – if you remember to specify 14 attackers, not 15, since one of Blue’s units must remain in Southern Europe and can’t attack. What about that unit that is left behind? In fact, in order to conquer Africa, both Blue and Purple would need to use 6 of their 15 units to occupy the territories. So this is not a straight up 15 – vs – 11 situation, it’s more of a 9 -vs – 11 situation. Still, everybody knows that in Risk the attacker has the advantage (at least as long as they have 3 or more units to attack with) and the 3-on-1 advantage is a big one, so it seems the attacker has a shot. Clearly Blue will get past Egypt, but will they have enough left to get all the way to and conquer North Africa? Purple will likely make it to Egypt but will they have enough left to conquer it after dealing with all those other pesky territories? Blue’s attack run will succeed 60.2% of the time. If Blue fights to the death, they will destroy on average 2.14 more units than they lose. Looking at the chart you can see that Blue will will 60.2% of the time, killing an average of 6.04 more units than they lose – when they win. When they lose, they lose 2.14 more units than they destroy. On average Blue can expect to kill 2.78 more of Yellow’s units than Yellow will kill of Blue’s units. Those weird nautilus shapes are showing you the different possible outcomes at each territory. The green arcs show the probabilities that Blue will win that territory, red arcs show the probability that Yellow will hold the territory, and grey arcs are the probability the Blue will never make it that far in the first place. For instance, there’s a 31.3% chance that Blue will never make it to North Africa. The wedges inside the arcs represent individual outcomes. The height of the wedge represents the number of units for each power that will remain for an individual outcome in a particular territory. This will be more interesting to look at in Purple’s case. Speaking of Purple, are they more or less likely to take over Africa by ending at Egypt than Blue is by starting at Egypt? Pruple will win 55.5% of the time and will on average destroy 1.56 more units they they lose if they fight to the death. Ta-da! Mixed in with all of that data is this important stat: Purple will win 55.5% of the time. By attacking the most heavily-defended territory last, Purple is 4.7% less likely to win than Blue is! There is a tiny grey sliver between the red and green arcs which shows that 1.2% of the time Purple never even makes it to Egypt (%*!? unlucky). The thinnest purple wedge shows that there is a 0.6% chance that Purple will conquer Egypt with 9 units – i.e. without losing a unit (%*!? lucky). These match up with outcomes shown in the chart. So: it’s better to take on big armies early than to leave them for the end. Why? That’s a bit hard to grok. It has to be about the odds that Yellow can get to a situation where they have the edge – i.e. where Yellow has 2 units against 2 or fewer attackers. That’s more likely to come up if the attacker has already left behind / lost 5 or more units in the battles leading up to Egypt. But hey, I had to write an app to figure it out, and my “explanation” is really just rationalization. It is what it is. What’s the optimal defensive arrangement? What about the defender? 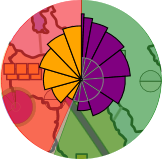 If Yellow wants to defend against Purple and had complete freedom on how to distribute their troops, is it optimal to leave all its excess units in the territory furthest from Purple? Or is it better to spread the excess units around – the ‘turd’ strategy? Huh! 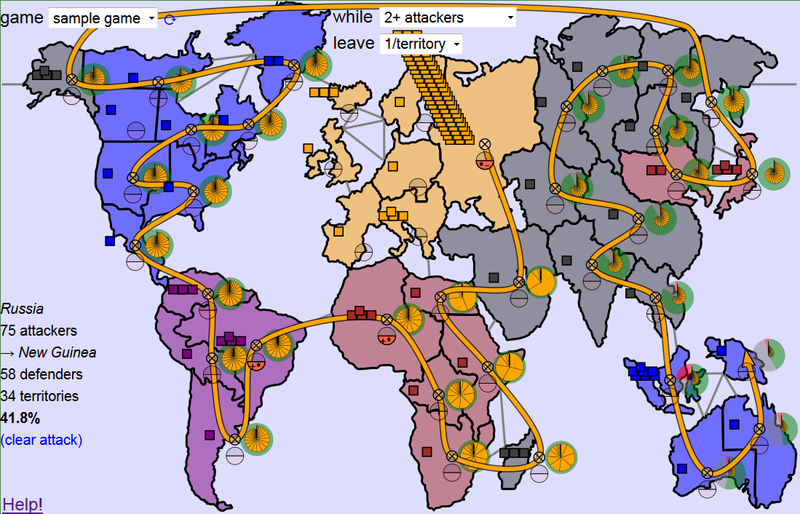 It turns out that the ‘turd’ strategy is the most effective defense – if Yellow puts 1 unit in North Africa and 2 units in every other territory, then Purple will win less than half the time – 49.3% of the time in fact. Why? There’s a lot of math behind that result, I’m not sure you can boil it down to a simple explanation, but I would note that in this scenario Yellow is guaranteed at least 5 defenses with 2 or more dice. Of course, Yellow has given up any chance to use most of those units in an attack in order to get a very slight defensive advantage – not a tradeoff I’d want most of the time. What if the attacker doesn’t fight to the death? Note that for the scenarios we’ve explored so far, I’ve specified that the attacker ‘attacks to the death’. Frankly, that’s a dumb strategy. 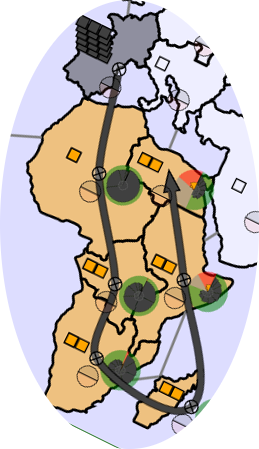 If you get to Egypt and you have only 2 units in East Africa, you’re not going to mount a 1-on-6 attack, even though there is a faint hope (0.1% in fact) that the attack could succeed. The app allows you to play with other options to get more realistic results, by playing with the ‘while’ control. 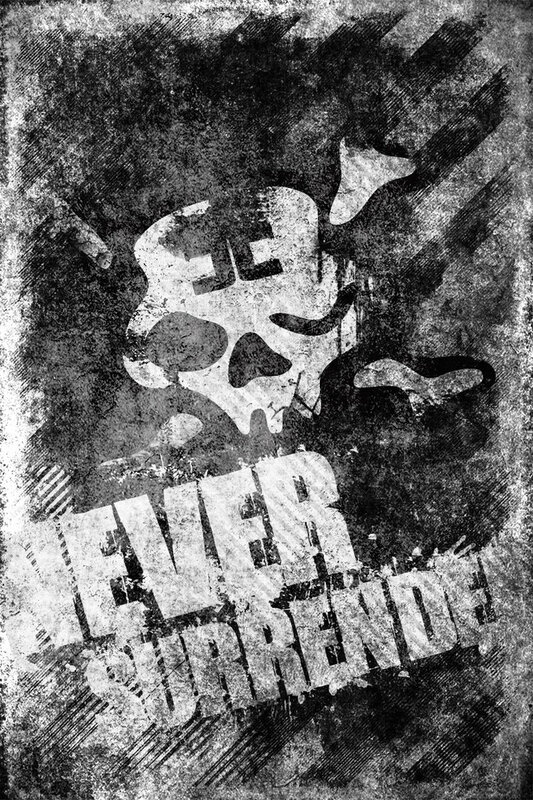 The default, while 2+ attackers, is the never surrender setting . 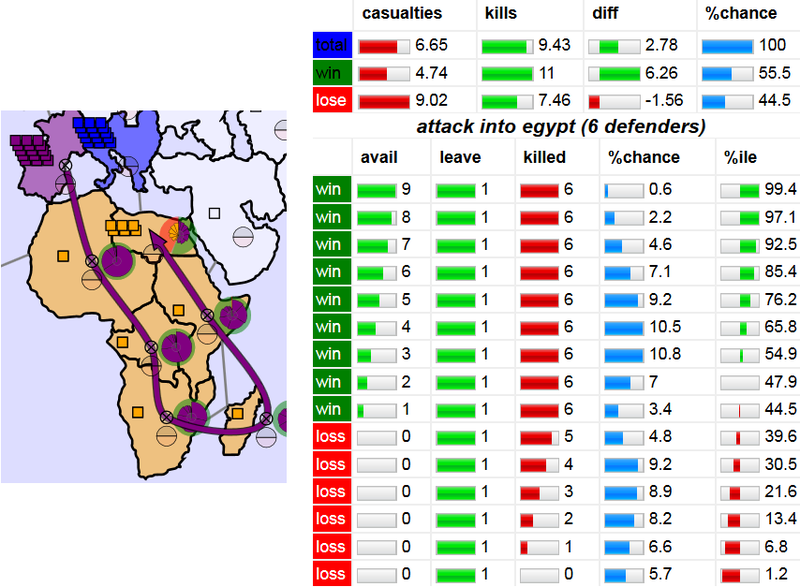 For instance, in the scenario where Purple attacks Egypt last and Egypt has 6 units in it, if Purple decides to give up the attack at any point that there are more defenders than attackers, Purple will now win only 28.5% of the time (down from 55.5%!). But Purple’s average casualties drop from 4.74 to 3.67 – a reasonable tradeoff. In the case where Blue’s attack starts in Egypt, if Blue only attacks while they have the advantage their win percentage barely budges – from 60.2% to 54.2%. This is because Blue is unlikely to fall behind Yellow in the big battle while Purple is quite likely to. Something I experimented with was a strategy where the attacker stops attacking as soon as their chance of winning the entire attack run dropped below a certain percentage. 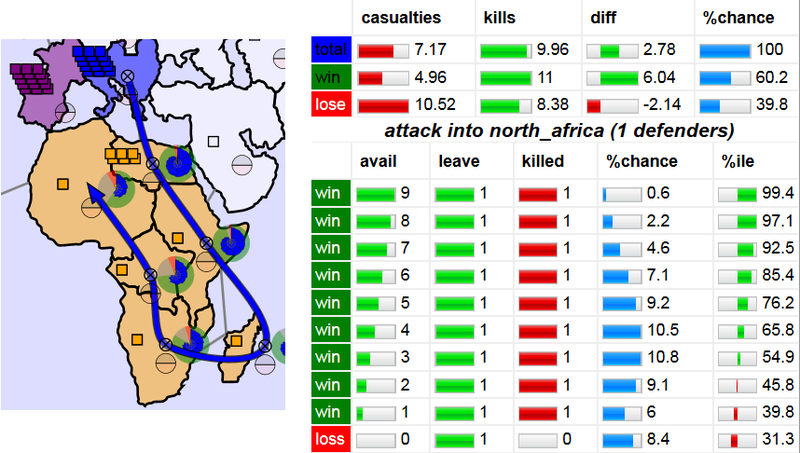 For example in the original scenario where Blue attacks Egypt first with 15 units, Blue has a 60.2% chance of taking the continent. But if Yellow eliminates 2 blue units on the very first attack, then it’s as if Blue started the attack with only 13 units – a situation where Blue only wins 39.8% of the time. If Blue’s strategy is to abandon the attack when the chance of overall success drops below 50% , then Blue will give up after the first roll if it goes badly. This is a very rational strategy that I see players rarely adopt. It also results in hugely reducing the chance of Blue taking over the continent – because there are many places in an attack run where the defender can temporarily get an edge. Unfortunately, I was not 100% confident in the code I had written for this strategy because my original design had not contemplated it. It was also fairly compute-intensive! So you can’t play with that one. Another scenario that the app can’t model is where you will need two or more attack runs to achieve your goal. For example if Blue wants to wipe out Yellow, and has two or more armies available to do it. Supporting this would add a lot to the complexity to the app. I doubt I’ll ever get around to it. I need to result a risk odds dispute – where do I go? You can read more about the app or go straight to it. Who knew that 75 units might not be enough to to take over the world? And when did the Risk gods change Ukraine into Russia? Or you can have a look at a spreadsheet of the basic stats for the impact of each modifier on attacker and defender casualties.